This is the time in life where we should be pure inside and outside. That we may present ourselves as pleasing sacrifice to the Lord. The world become more aggressively cruel against all forms of righteousness. There is nothing good coming out of it these days. Wickedness is all over the place. Even if it is difficult for the flesh to depart ourselves from the way of the world and surrender ourselves to the Lord, sooner or later we have to make this important decision before we are taken away by the filthiness of the world. The instrument they use to deprive us of our purity and righteousness in the Lord cannot be easily taken let alone for the new Christians but the strong ones in the Lord who have enough wisdom accumulated to pass the test of time. There is nothing that the carnal mind does to help us escape from the filthiness of hte world unless it is renewed through Christ. If that was good enough, we could have easily get over from our inequities and Christ need not to die on the cross. In other words our flesh drive us in to sin against the Lord. There are already a lot of teachings in the area of sexual purity but still many choose the path to destruction failing the purpose they all are created for. Sexual sin is the most strong form of sin. It totally controls our behavior and way of thinking. It wastes our energy to be fruitful. It drives out the Spirit of the Lord in us very quickly than any other sin. Because it has direct control over our body which is the temple of the Holy Spirit. Sexual sin is made by our body. 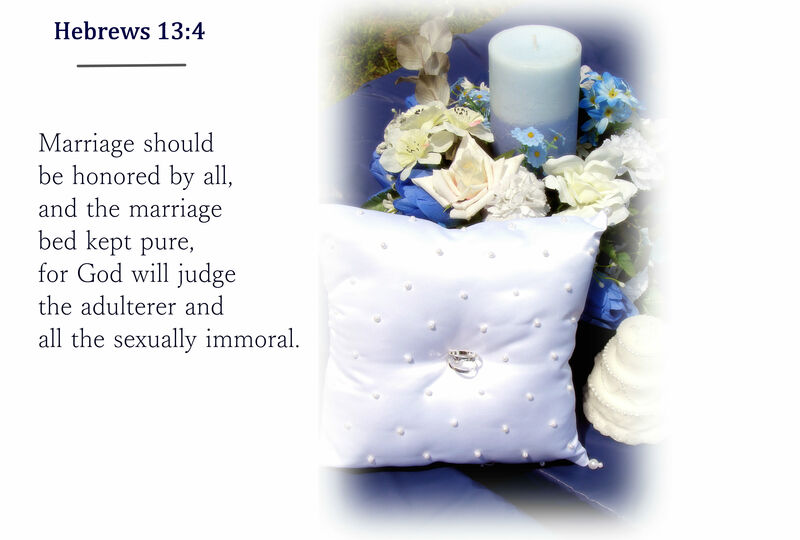 Sexual sin is the most strong form of sin. It totally controls our behavior and way of thinking. It wastes our energy to be fruitful. It drives out the Spirit of the Lord in us very quickly than any other sin. Because it has direct control over our body which is the temple of the Holy Spirt. Sexual sin is made by our body. Therefore, I urge you, brothers and sisters, in view of God's mercy, to offer your bodies as a living sacrifice, holy and pleasing to God--this is your true and proper worship. What are the consequences of homosexuality?